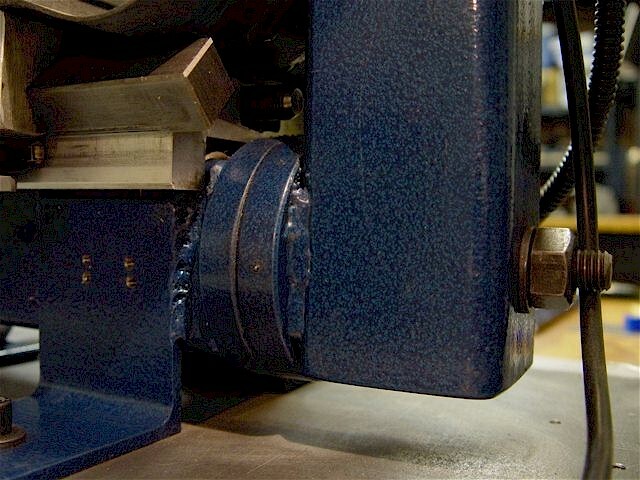 The vertical column alignment is adjusted by carefully loosening the rear nut. 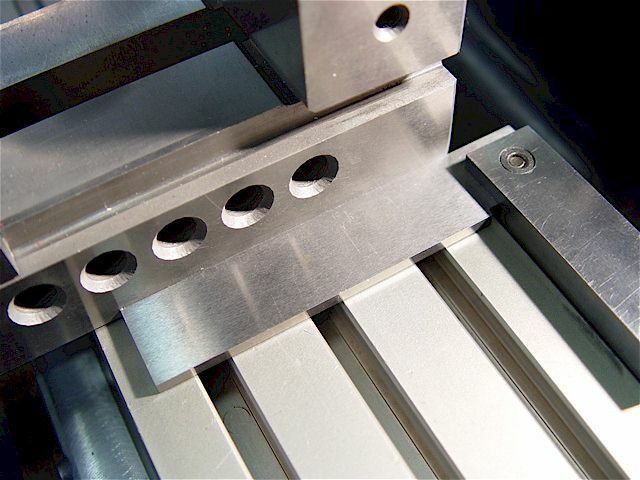 Different cutter angles can also be set by indicating the desired fixed-angle plate. Caution: When the column is loosened for adjustment, do not allow it to fall to the side. Retighten nut. 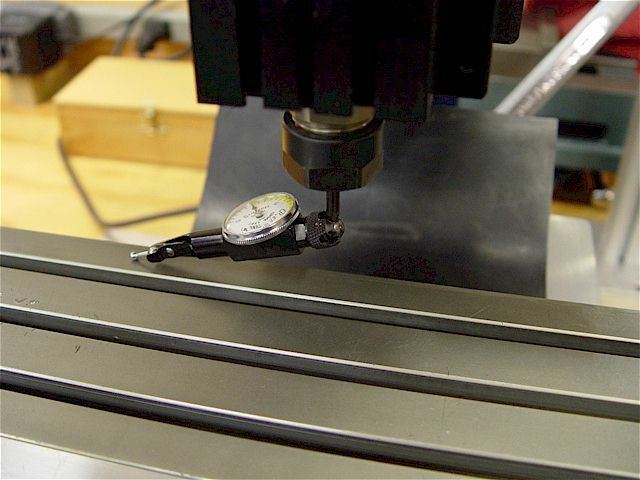 This style of universal dial test indicator holder gives a broad sweep of the small mill table (animation). This is indicating the X-axis which is adjustable. See instructions on how to set tip geometry & see illustration. 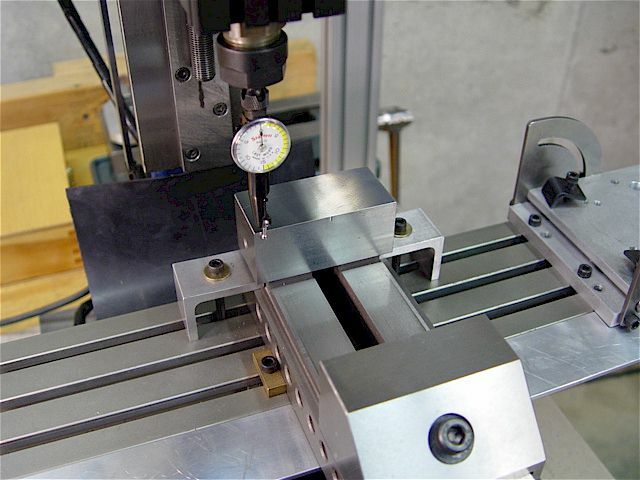 To indicate the mill bed, mount a dial test gage in the mill spindle. 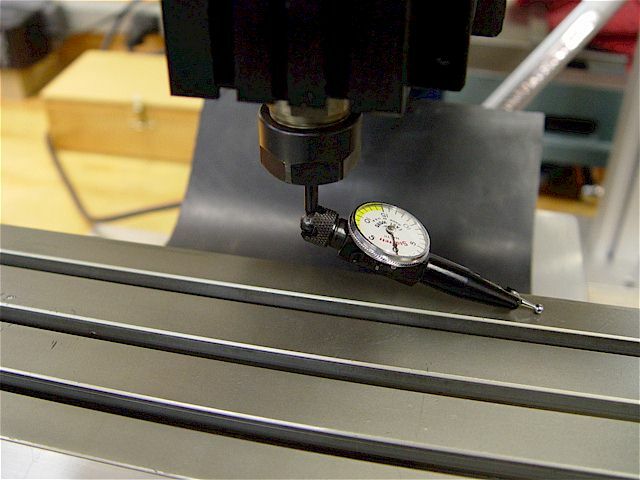 Used a 3/16" diameter adapter that attaches to the end of the dial test gage. It was then mounted in a collet. support until there are no left-to-right differences. The column is held in place under a nut with a washer. 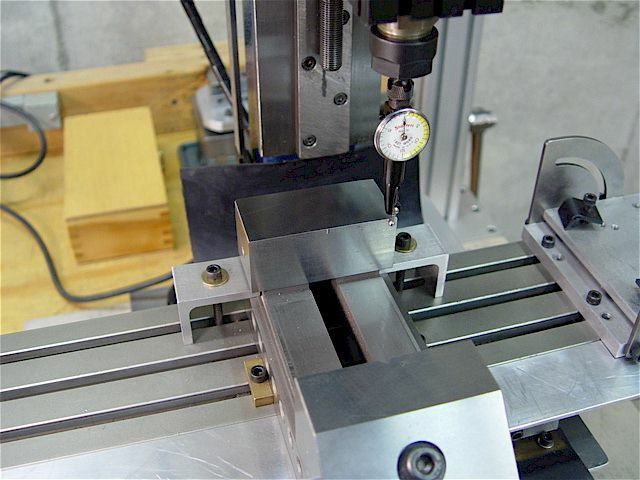 Initial vise alignment to the table using a high-precision right-angle square. Other side held by the L-bracket. Second L-bracket fixed to vise. are no differences. 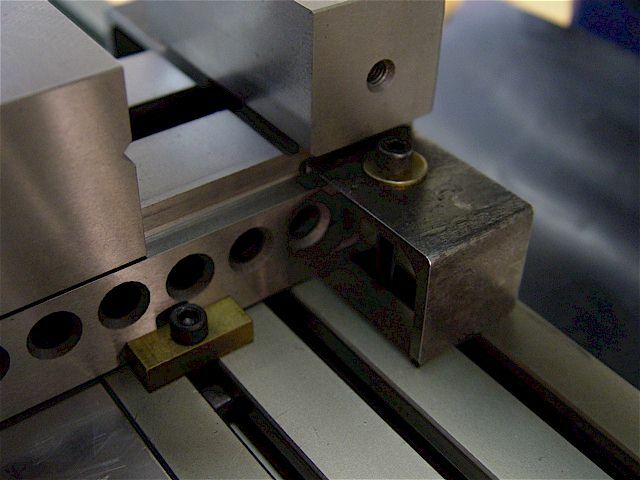 This vise is +/-0.0002" & the dial test gage scale is in 0.001" gradations. Aluminum vise brackets did not mar the table but deflected a little. Indicating the vise's solid jaw, animation. I have now replaced the vise clamps with steel L-bracket milled to the correct dimensions. 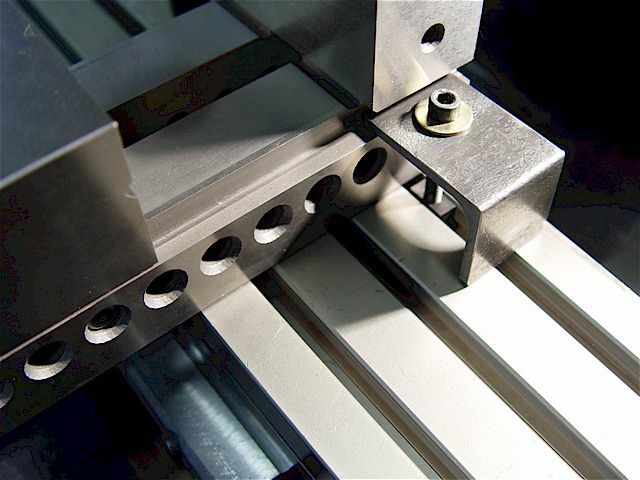 It's designed like a toe clamp so there is a small downward angle towards the vise's ledge. vise tightly, do not bend & no table marring. The brass blocks increase setup rigidity. Indicating the vise's bed, animation.